When you need to replace a part on your New Suzuki or Used Suzuki, make sure you are using genuine Suzuki parts purchased from Moorooka Suzuki. Our Suzuki parts are competitively priced and engineered to the same high levels of safety and reliability as your vehicle. Our factory-trained Suzuki Service team are up-to-date on the latest Suzuki products, so they will select the right part for the job and fit it correctly. Every Suzuki Genuine Part & Accessory purchased from and fitted by Moorooka Suzuki is covered by the remainder of your original new car warranty, or a 12 month/20,000 km warranty (whichever occurs first). 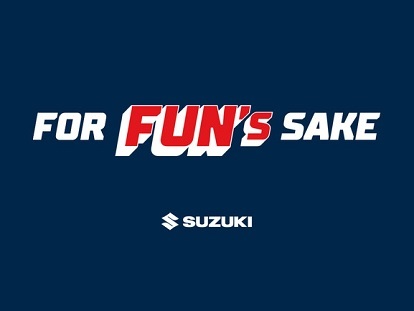 Important fact: Suzuki’s warranty does not cover the failure or defects caused to your Suzuki due to fitment of non-genuine parts and accessories. If you would like to talk to a member of our service team about our Suzuki Genuine Parts, or book your Suzuki in for a fitting, Contact Moorooka Suzuki today.